In honor of Zelda Fitzgerald's birthday, we urge you to read her one and only novel. Regardless of what one might have been told, Save Me the Waltz is a beautiful book and well worth a read. 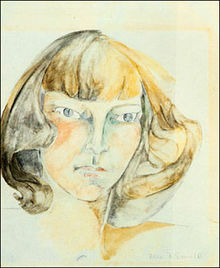 For a view of Zelda's paintings, check out Zelda: An Illustrated Life: The Private World of Zelda Fitzgerald, published in 1996. 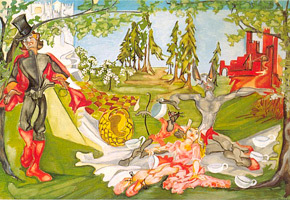 It features many of her whimsical paintings like The Mad Tea Party.